As you may have noticed, I have been away for a little while with no new blogs or vlogs. 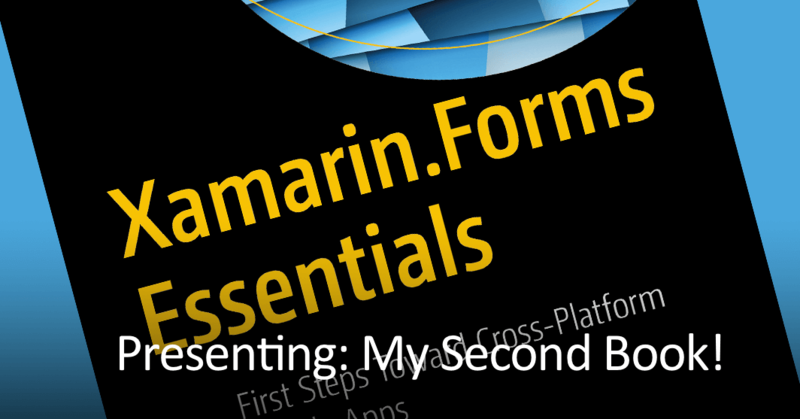 But with good reason, and it’s called Xamarin.Forms Essentials! I have moved into a new home! But probably more important to you; I have been working on a new book as well and I’d like to present to you in this post. 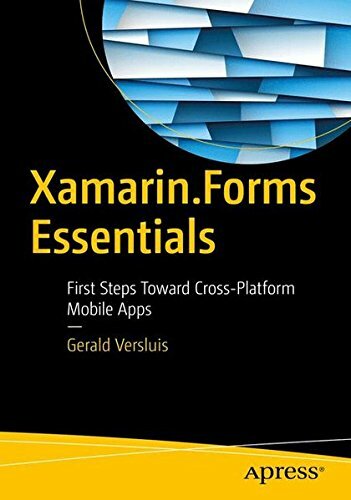 This book will teach you all the bare necessities to start working on your first Xamarin.Forms app. It is full of best practices and frameworks or plugins that you should know about. By the example of rebuilding my ‘been pwned’ app (for iOS and Android) I will walk you through concepts that are common in almost every Xamarin.Forms app. If you have been working with Forms for a while, this might be a great reference to see if the concepts you implement check out with peers. But, if you’re only just starting to look into Xamarin.Forms development, this might be the book for you! In this book you will find an overview of what Xamarin.Forms is and what is included. Furthermore, you will learn how to set up a extensible and maintainable architecture for Forms apps. Xamarin.Forms Essentials will provide you with everything you need to orchestrate your apps properly, but will not dictate you to the detail. Including but not limited to: MVVM, data-binding, caching your data, working with a REST service, implementing custom renderers, the DependencyService and much more. After reading this book, you will have all the resources and ideas to get you started by the example of a fully functional and released app. I’m not entirely sure the release date is set yet, but if all goes well it will be available as a Christmas present. Right now it is available as a pre-order. Find it here on Amazon or for the Dutchies on Bol.com. As always: I’m happy to hear what you think of it. And don’t forget to find me at my sessions with a unicorn goodie to score your own copy there! If you didn’t get my previous book on continuous integration and continuous delivery for your Xamarin apps with VSTS, be sure to check that one out as well. Together with this book I am publishing the been pwned app as open-source software on my Github account. It will be published to the app stores before the book will be out. This app is one of my first Xamarin.Forms apps, but became a great success! It now has around 15k downloads between the Android and iOS version, but technically it needed a refresh. Also, people sometimes would ask me if nothing fishy was going on under the hood. That is why I decided to rebuild it from the ground up, open-source it and use it as an example for my book. One the one side this is a nice simple app to start from, on the other hand it will help raise awareness for security. Win-win! I’ll gladly receive pull requests and other issues or suggestions. From here on out you can expect blog- and vlogposts on my YouTube channel again so stay tuned!